Stan Lee, known to a legion of comic book fans and moviegoers, died Monday at 95. News of Lee's passing hit fans hard as many took to social media to express their condolences at the loss of a living legend. 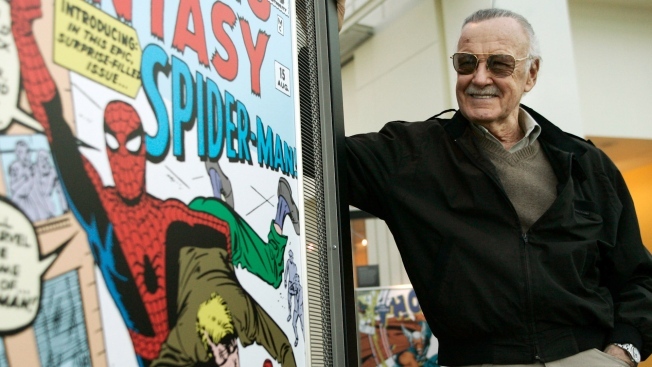 "Original and genius are two very overused words in the world today, but Stan was both. Add irrepressible and irreplaceable, and you begin to describe the man. We have all lost a true superhero. We will greatly miss our friendly neighborhood Stan Lee." — Sony Pictures' Motion Picture Group chairman Tom Rothman, in a statement. "Stan Lee's imagination helped spawn a universe of characters that inspired both kids and adults around the world for generations. He has become the driver of an incredible lasting legacy for our modern pop culture mythology." — Marvel cinematic universe directors and brothers Anthony and Joe Russo, in a statement. The genius who gave the world so many wonderful comics. No one has had more of an impact on my career and everything we do at Marvel Studios than Stan Lee. Stan leaves an extraordinary legacy that will outlive us all. Our thoughts are with his daughter, his family, and his millions of fans. #ThankYouStan#Excelsior! To Stan Lee: Thank you for making my childhood so much more exciting with your astonishing superhero characters. Thank you for inspiring me to think and dream big. Thank you for the Hulk, Thor, Fantastic Four and many others. You will be sadly missed. RIP. Lee was declared dead at Cedars-Sinai Medical Center in Los Angeles, according to Kirk Schenck, an attorney for Lee's daughter, J.C. Lee. As the top writer at Marvel Comics and later as its publisher, Lee was widely considered the architect of the contemporary comic book. He revived the industry in the 1960s by offering the costumes and action craved by younger readers while insisting on sophisticated plots, college-level dialogue, satire, science fiction, even philosophy.